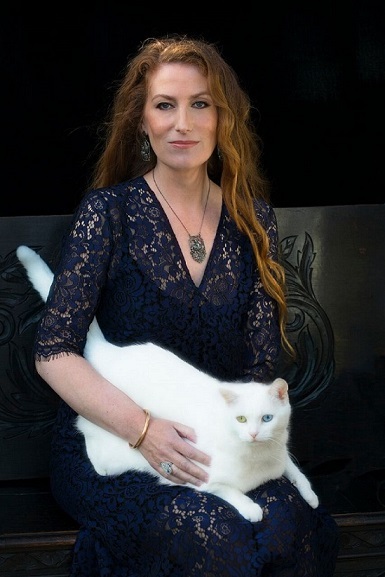 Catherine Chidgey is a fiction writer and multiple award winner whose five novels have achieved international acclaim. Her latest novel The Beat of the Pendulum (Victoria UP, 2017) was longlisted for the 2018 Acorn Foundation Fiction Prize and described as ‘sensationally clever writing’ (Best Books of 2017, Radio NZ), and as ‘genuinely cutting-edge…Chidgey has created her work out of the very fabric of our times. It is art made out of posting, of surface and veneer’ (Landfall). Her much anticipated fourth novel The Wish Child (Victoria UP, 2016) was an instant bestseller, winning both the Janet Frame Literary Trust Award and Acorn Foundation Fiction Prize at the Ockham Book Awards (2017). Diverse in subject and setting, Catherine’s work is ‘writing of extraordinary precision’ (Landfall), crafted by ‘an artist who may claim a perfect ear, an exquisite tone’ (Evening Post), and who ‘finds metaphor, contiguity and paradox wherever she looks’ (NZ Herald). ‘Intelligent, lyrical, disciplined and observant, she is the real deal, the star of her generation’ (NZ Listener). In a Fishbone Church, Catherine’s debut novel, received Best First Book at the New Zealand Book Awards and the Commonwealth Writers’ Prize (South-East Asia and South Pacific region), the UK Betty Trask Award and was longlisted for the Orange Prize. Time Out magazine (London) chose her second novel, Golden Deeds, as a book of the year. Golden Deeds was also a 2002 Best Book in the LA Times Book Review, a 2002 Notable Book in the New York Times Book Review, runner-up for the Deutz Medal and serialised by Radio New Zealand. The NZ Herald described Catherine’s third novel, The Transformation, as the ‘best so far’. US bookstore chain Barnes & Noble chose it as a Discover Pick of 2005. Her short fiction is also widely published in anthologies and journals. Catherine’s numerous accolades include the prestigious BNZ Katherine Mansfield Short Story Award (2013) and the Listener Womens’ Book Festival Short Story Award (1997). She received the inaugural Prize in Modern Letters and in 2003 was named best New Zealand novelist under forty by a NZ Listener industry panel. Catherine has held the Sargeson Fellowship, the Todd New Writers’ Bursary, the Katherine Mansfield Fellowship (France), the Rathcoola Residency (Ireland), the NZSA Peter and Dianne Beatson Fellowship and the University of Otago Wallace Residency. She has been Writer-in-Residence at the universities of Canterbury, Otago and Waikato.